Financial planning can be a life-long process that assists you and your family in taking control of your financial future. By identifying financial goals, developing and implementing financial strategies designed to meet your goals, and monitoring progress on a regular basis, the likelihood of achieving your results is greatly increased. An Opening Interview to assess your current financial situation and to identify your priorities and concerns. Gathering information to develop a Profile of your current situation, including a review of your financial information and relevant documents. We will analyze this data to be certain we understand your unique situation and how to address it. Presenting the planning analysis during a strategy session allowing you to understand where you are in relation to where you want to be in the future. Finally, the last step in the financial planning process is for you to periodically review your financial situation. At a minimum, we recommend you assess the need for any changes annually or more often if you experience any material changes in your situation. Even the best financial plan must be monitored on a regular basis to make sure you are continuing in the right direction. Why develop a financial plan? Most people find that managing their finances is a challenge. We face many opportunities, obstacles, and hazards along the way. We struggle with anxiety relating to our personal financial circumstances. Further, many families are too busy dealing with the challenges of day-to-day life to think about next month; let alone retirement, which may be twenty years or more into the future. Will be able to better understand your current financial situation. Define retirement, education, insurance, and other financial goals which have a reasonable likelihood of success. Understand the financial resources necessary to fund your goals as they occur. Reduce the financial impact of unexpected events, such as disability, premature death, etc. As a financial advisor/planner, my goal is to help you make informed decisions about issues that affect your financial well being so you can achieve financial freedom for yourself and help for your loved ones. I will work with you to help you determine what’s important to you in your life. Together, we’ll create a road map to take you where you want to be. You can count on me to be your guide and trusted advisor. 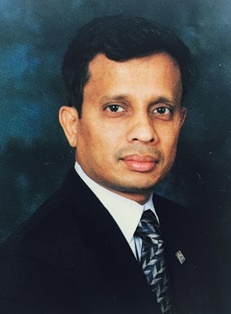 I, Mizan Rahman, began my financial advisory practice in 1996. A business graduate from Bloomsburg University of Pennsylvania, I'm also a member of prestigiuos organizations such as MDRT - the Million Dollar Round Table - an independent, international institution of leading financial professionals in the life-insurance-based financial services. A member of NAIFA - the National Association of Insurance and Financial Advisors. I have also achieved repeatedly NAIFA's National Quality Award and the outstanding service award, the National Sales Achievement Award for Excellent Client Service - since 1997. I specialize in Financial Services for self-employed Medical Professionals. As well as Business Owners in IT Sector and Pharmaceutical Industry. As a resposible and active member of the community, I enjoy in sponsoring and supporting different social and ethnic professional groups and organizations, such as, AAPI, AAPI-QLI, APPNA, AABEA, BHI, BMANA, BDANA, BAPA, BUAA, CMCANA, CLP-NJ, HDFNA, DUAA-USA, DCI, GRAM, ICAB, NABIC, NDMF, SAMAR, UDICHI-USA, VAB, WMI, Asia Society and others. The IndUS Entrepreneurs (TiE), Financial Advisory Commitee of the East Meadow School District, the largest school district in Nassau County of NY, as a Member, Patron or Sponsor. I had served as a Member to the Board of Directors of Bloonsburg University Alumni Association (BUAA), Bloomsburg, PA. In 2011 I was awarded the "Professional Service Award" by the Nassau County's Town of Hempstead Supervisor, Honorable Kate Murray. In 2012 I was also awarded a Recognition Award Medal & Citation which was presented to me by the Nassau County Executive, Honorable Edward P. Mangano on the occasion of the 2012 International Music Night Concert Series, on June 1, 2012, in appreciation of my dedicated service to the community. I am committed to building long-term relationaships with my clients and helping them reach their financial goals is my number one priority. Drawing on my knowledge, know-how, experience, and world-class planning tools, I help build financial freedom for my clients. Mizanur M. Rahman, domiciled in NY.